DIRECT FROM LOURDES - Communion Pocket Token with Engraved Verse. Communion Pocket Token with Engraved Verse. 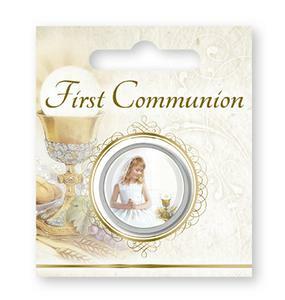 Communion pocket token with an engraved verse on the reverse, the front of the pocket token has gold foil highlights. Prayer on reverse of the card.